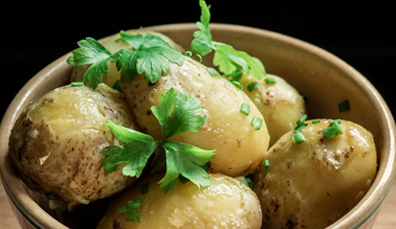 Grown in sheltered soil around Strangford Lough, County Down, the Comber is a world-class spud with a distinct nutty flavour. 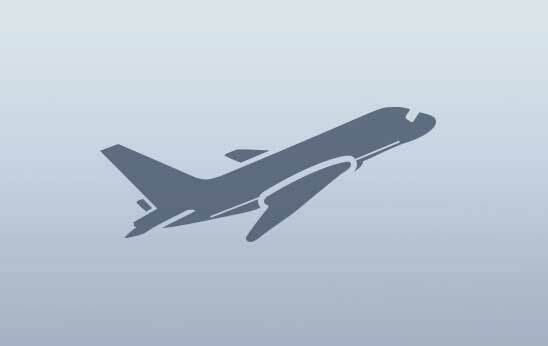 It also claims Protected Geographical Indication (PGl), the EU scheme that protects the reputation of regional food. 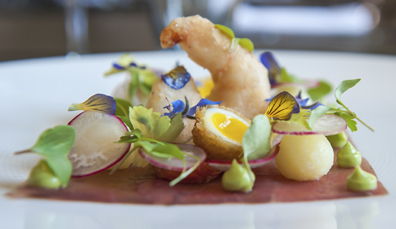 Try it at The Poacher’s Pocket, Lisbane, or James Street South in Belfast. 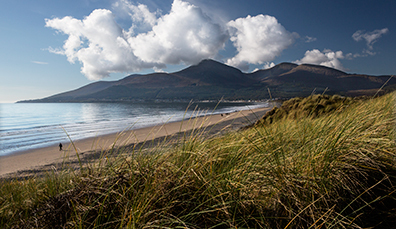 The clear waters around Northern Ireland, along with the loughs (lakes) and rivers give rise to mouthwatering dishes. 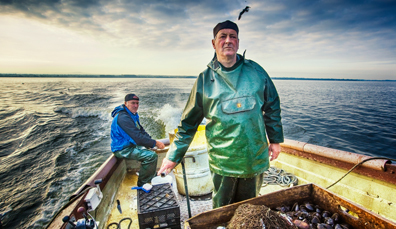 Try the delicate flavour of Lough Neagh eels (with PGI status), the prestigious Glenarm Organic Salmon, and the pure taste of Strangford Lough oysters. A good place to start? The Mourne Seafood Bar in Dundrum. 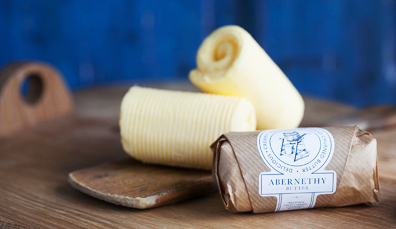 Served in some of the world’s best restaurants, Abernethy butter is the real deal. Churned by hand into velvety perfection, this high-grade butter is created with local cream from cows that graze around the lush Lagan Valley in County Antrim. Taste it at restaurants all over Northern Ireland, pick some up at delis, such as Sawers in Belfast. 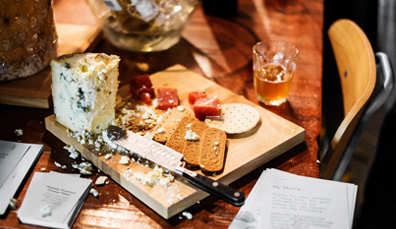 Handcrafted from the purest of milk, cheese has long been one of Northern Ireland’s highest quality artisan products. And right now, blue cheese is where it’s at. Taste the incredible flavours of Young Buck (a raw milk cheese) and Kearney Blue (inspired by the grey stone walls of County Down). Looking for something milder? 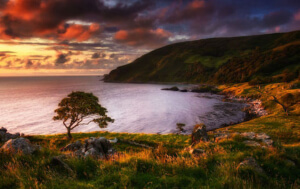 Try Ballylisk's Triple Rose, with its salty, lemony undertones. 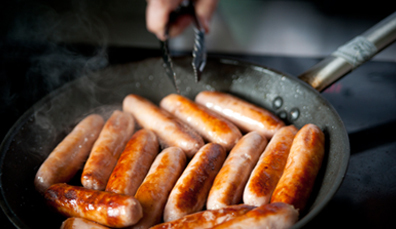 Sausages and bacon are the bedrock of the Ulster Fry, Northern Ireland’s breakfast of champions. Our advice? Go for Fermanagh Black Bacon, made from a unique breed of pigs that roam free on a small island in Upper Lough Erne, County Fermanagh and award-winning McCartney’s of Moira sausages. And for a top-class fry? It has to be the George’s of the Market in Belfast's St George's Market. 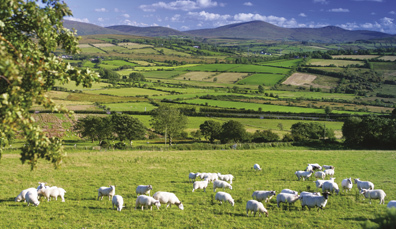 It’s no wonder that the pure, sweet grasses of Northern Ireland’s landscape contribute to some of the best beef and venison in Europe. 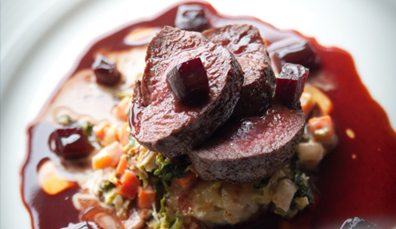 Exceptional meats from the likes of Hannan beef and Baronscourt Estate wild venison, both of which are Great Taste Award 2015 winners, can be savoured at critically acclaimed restaurants such as Ox, Belfast and Balloo House, Newtownards, County Down. Armagh. The Orchard County. 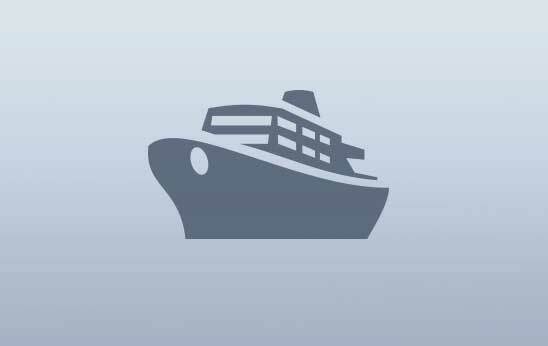 Home of the Bramley Apple, another of Northern Ireland’s superstar PGI status products. 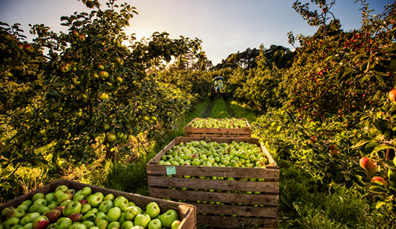 Armagh loves its apples – it bakes them in pies, it creates delightful apple juice (P McCann & Sons) and tasty cider (Armagh Cider Company) and then in September, it celebrates the harvest at the Armagh Food and Cider Festival. 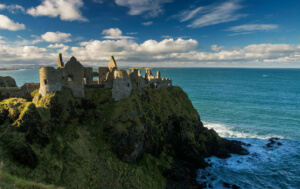 Boasting a prestigious centuries-old distilling heritage, Bushmills has a stunning location just a stone’s throw from the Giant’s Causeway on the Antrim coast. 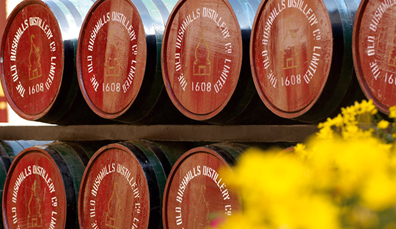 Tour the distillery, and taste the whiskey at cosy traditional pubs all over Northern Ireland. 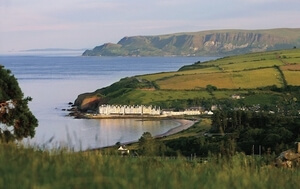 Try the gas-lit bar at the Bushmills Inn, County Antrim, and the traditional surrounds of the Duke of York, Belfast. 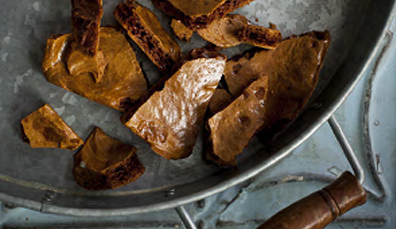 Simple, unfussy and utterly delicious, bread is one of Northern Ireland’s unsung food heroes. 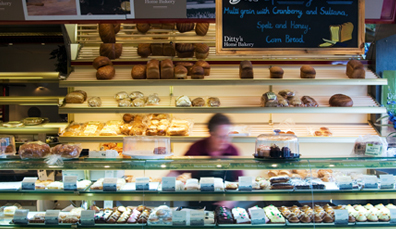 Whether as soda bread, soda bread farls or potato bread farls (potato-style breads that are delicious as part of the Ulster Fry), visit to the famous Ditty’s Bakery in County Derry-Londonderry where you can try any (or all) of these, and sample their famous oatcakes. 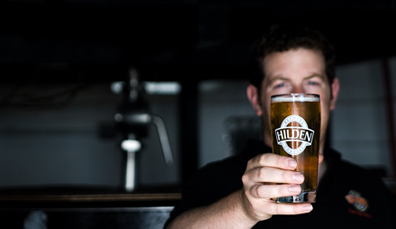 From traditional microbreweries to boundary-pushing beers, you don’t have to look far for names of home-brewed Craft beers. Check out the taps in pubs for names including Kilkeel Whitewater, Hilden, Boundary, Sheelin and Farmageddon Brewing. There’s also a strong tradition of artisan cider – look to Armagh Cider Company for one of the best around, delicious on a hot summer's day. 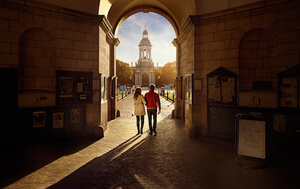 Destinations with cooler weather aren’t often known for their ice cream, but Ireland bucks this trend, thanks to excellent dairy produce that lends itself to the creamiest ice cream around. 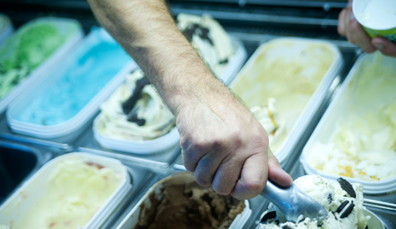 Try local stalwart Maud’s in Bangor, County Down; Glastry Farm Ice Cream, based in County Down; Tickety-Moo in Killadeas, County Fermanagh; and the old-fashioned Morelli’s in Portstewart, County Londonderry. Have a sweet tooth? You’ve come to the right place. Northern Ireland loves its sweets, and Aunt Sandra’s in Belfast is a treasure-trove of all things sugary. But for an authentic sweet treat, it’s got to be Yellowman – a Northern Irish take on pulled candy. Traditionally sold at the Auld Lammas Fair in County Antrim, you can also pick it up in sweetshops and market stalls around Northern Ireland.